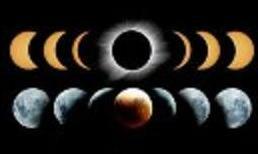 The differences in effects between the solar and lunar eclipses are that the solar eclipse effect on what happens in the outer life, which is associated with events that are happening around the person, in his dealings and relationships... 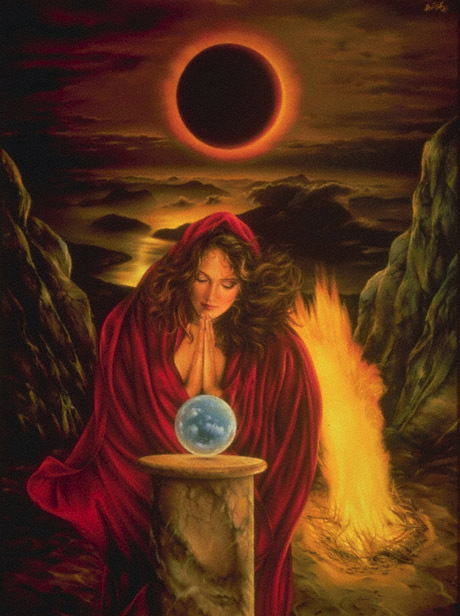 While lunar eclipses are connected to our inner state, emotional mood and thinking over the problems that are felt inside.. In outer space, ocean wise everything is arranged. From there come to us on Earth signs and messages in the most complex or unusual years. Scientists believe astrologers, during a solar eclipse is a lot of information that can be expected of people in the world and within 6 months after it, and the stronger the eclipse, the more fatal are the events on which it portends. 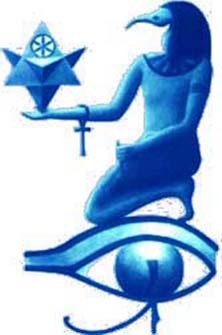 Long before the solar eclipse the earth begins to receive signals, signs and warnings.. 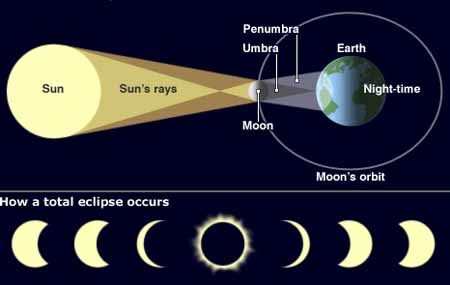 Partial solar eclipse occurs when the moon partially covers the sun. Such an eclipse, as a rule, it is influenced by the individual personality. The duration of the eclipse - as in full.. In the eyes of modern people a lunar eclipse is not as spectacular spectacular as a solar eclipse. Since then the sun and moon are on opposite side of Earth opposite. And if in the case of a solar eclipse, which occurs in New Moon, the Moon eclipses the Sun, the Moon in the case of the Earth's shadow falls on the moon, which is why she becomes invisible, that is not illuminated by the rays of the Sun..
A lunar eclipse happens in 14, 15, 16, of the 17th lunar days. If a lunar eclipse begins in the 14th lunar day, it will be short on time, but very far on the impact and the capture in resonance. If a lunar eclipse begins in the 15th lunar day, then it becomes a black color. Lunar eclipse in the 16 th day can erase even the most evil or good consequence of an eclipse. Lunar eclipse in the 17th lunar day lasts a long time in its consequences. It is ambitious, covering a large range of problems, its events are distributed to many homes horoscope. If the eclipse of the moon captures two days, for example, begins before sunrise and ends after the moon rises, it also covers a wide range of problems..
2012 metai Lietuvos astronomijos atmintyje išliks kaip vieni neįspūdingiausių, nes praktiškai nei Saulės, nei Mėnulio užtemimų nematysime. 2012 m. gegužės 20 d. žiedinis Saulės užtemimas geriausiai bus matomas Ramiajame vandenyne netoli Aliaskos. Tačiau reginiu galės pasigrožėti ir Japonijos bei vakarinių JAV valstijų gyventojai. 2012 m. birželio 4 d. įvyks dalinis Mėnulio užtemimas. Maksimumo metu bus užtemdyta apie trečdalis Mėnulio disko, tačiau reginiu vėl labiausiai grožėsis Ramiojo vandenyno salų gyventojai. Lietuvoje tuo metu bus diena ir Mėnulio nematysime. 2012 m. lapkričio 13 d. pilnas Saulės užtemimas nuslinks ... visiškai teisingai - vėl per Ramujį vandenyną. Šįkart užtemdytą Saulės diską dar spės pamatyti pačioje Australijos šiaurėje esantys stebėtojai. Mes visi gyvename vienuose namuose, mažoje gyvoje Planetoje - tai mūsų bendras Kosminis laivas, mūsų namai tarp žvaigždžių – ir šios Planetos likimas – tai mūsų visų bendras likimas..